A labour of love...with that great view above. Max's childhood home renovated for guests. Sit on the deck with a beautiful ocean view. Four stars, three bedrooms, two bathrooms and one beautiful house is yours for as long as you'd like to book. Opened May 2016 to rave reviews. We're so glad you like it. 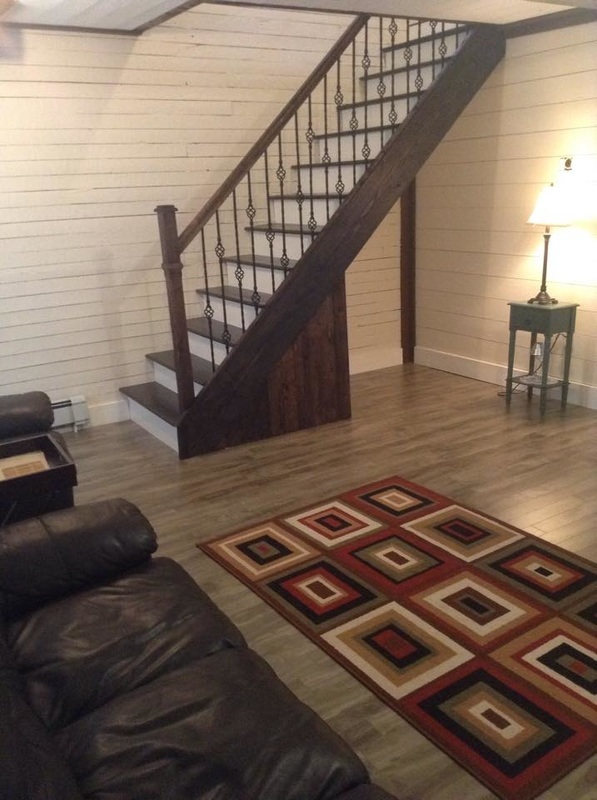 Open concept living room at base of stairs. Ten months of renovations and thought have turned Nan's House main floor into an open concept combining traditional architecture and materials and elements of modern design. Dining room table and private deck with an ocean view. Open concept downstairs with ocean view. ​Features full kitchen. with cooking equipment to meet all needs. ​Full bathroom on the main floor. 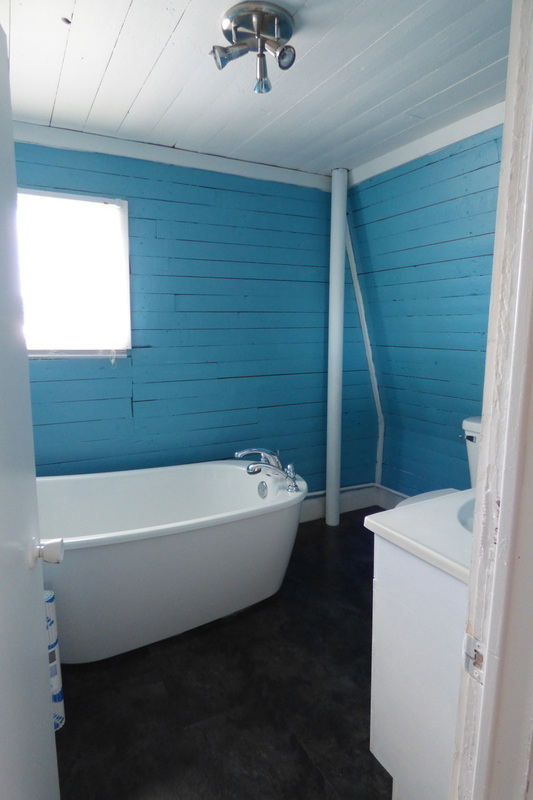 Three bedrooms and one bath room for families or groups travelling together. Rented as a tourist home, the whole house is yours to enjoy. Dream by the sea. We hope you love Nan's house. 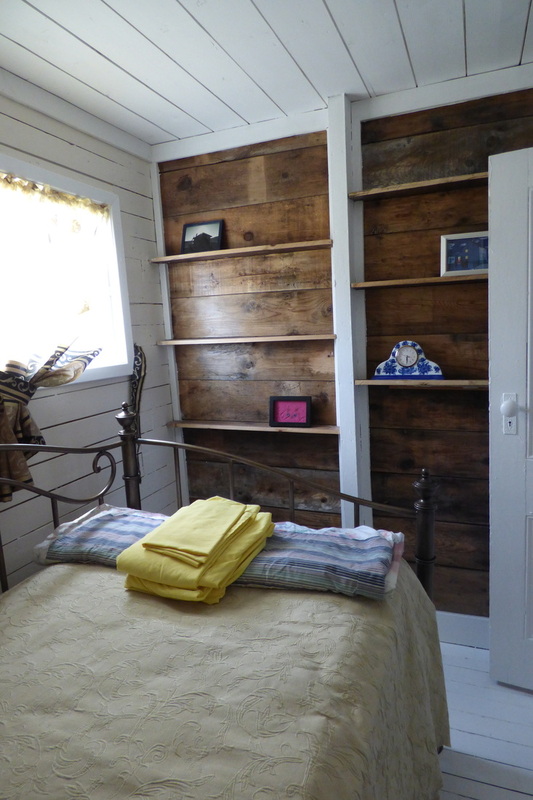 Our single room has a day bed and features vintage wood shelving. 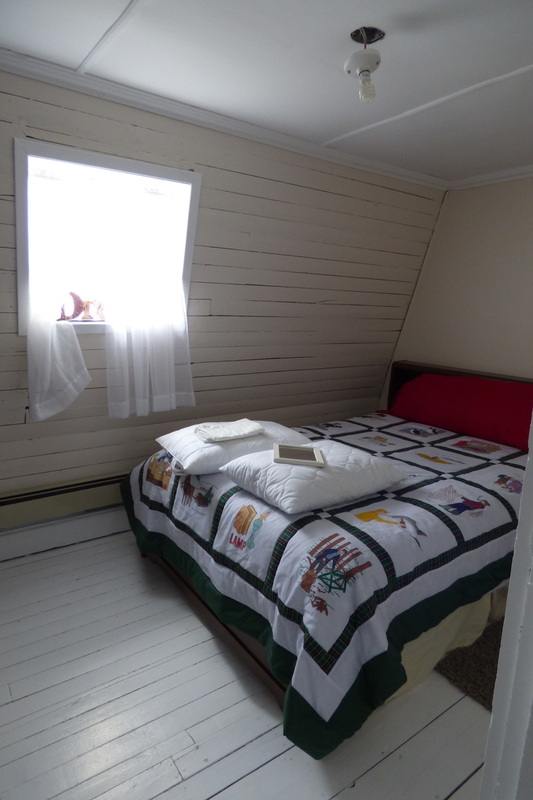 Double room features original board walls and local quilt. 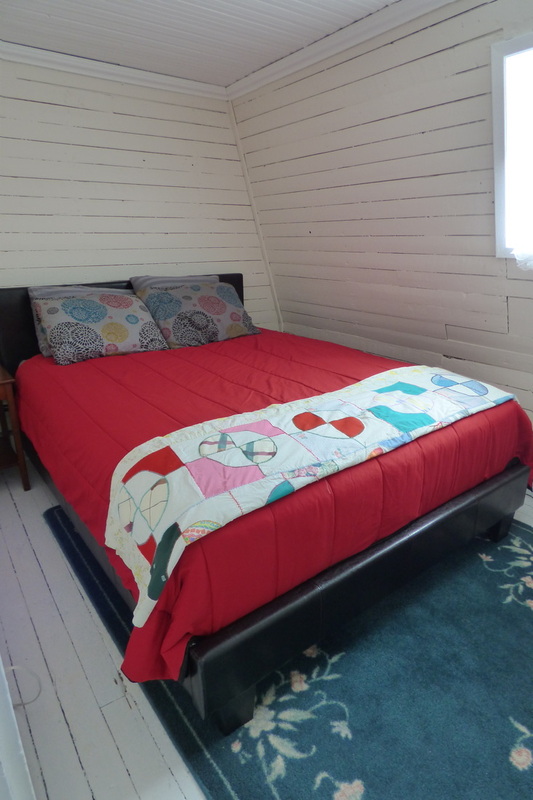 Queen bed featuring original board walls and locally made quilt. Single room with day bed is great for children or an adult. Modern design soaker tub in the upstairs bathroom.